So many holiday traditions are centered around food that it’s easy to feel weighed down by all the calories being consumed. 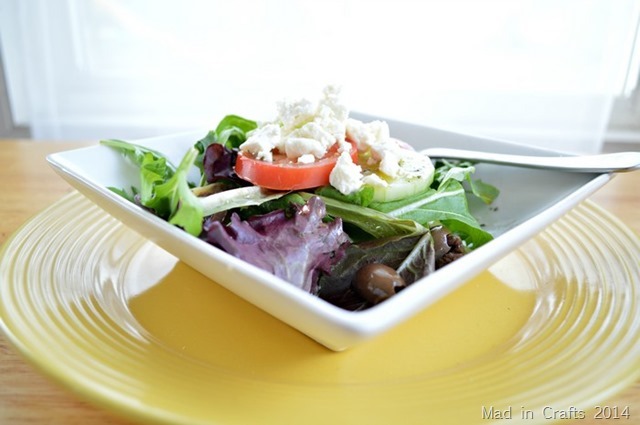 I’ve found that I can off-set some of heavy food by keeping the ingredients for a tasty salad on hand. I can have a light salad for lunch, which frees me up for a treat later on in the day. You can make up a batch of this simple Greek dressing to keep in the fridge for a quick, delicious lunch. 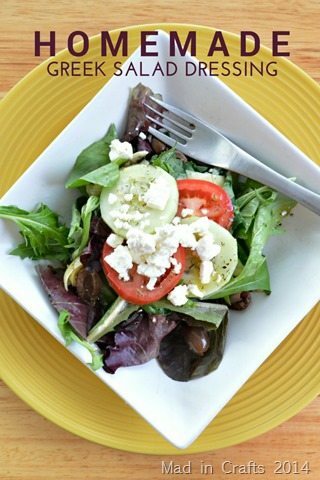 Drizzle the dressing over lettuce, olives, tomatoes, and cucumbers and top with feta cheese and grilled chicken. Visit Pompeian’s facebook page to create your very own personalized bottle of Pompeian Extra Virgin Olive Oil with a family recipe and a family photo. All you need to do is enter in the recipe and upload a family photo. 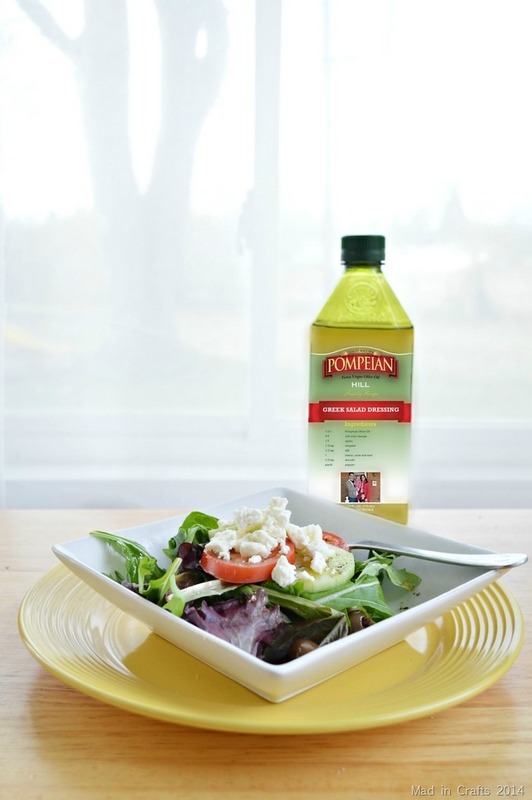 Pompeian does the rest! After you have finished playing around with the label maker, you can easily print out their label and place it on a 24 oz. bottle of Pompeian Extra Virgin Olive Oil. Package the oil up with the other recipe ingredients to make a special gift basket! Stir or shake all ingredients well to combine. The dressing will separate after sitting, so be sure to stir or shake before each use. If you refrigerate the dressing and the olive oil hardens, let the dressing sit at room temperature for a few minutes before using. Mmmm! This looks so delish!! I’ll have to look for this the next time I’m shopping!